You are in for a real treat today. Meet precious little Emma! Her mom and dad had their maternity photos taken on their due date! It was so much fun. This session was just as much fun, but with the added sweetness of little Emma’s face. I hope you love Emma’s session as much as I do!! To learn more about my newborn session, click here. I photographed this little darling in my home studio. I love having babies come to my home. They fall to sleep on the drive and arrive to my home where the light is lovely, all of my props are available, and the space is warm and cozy. 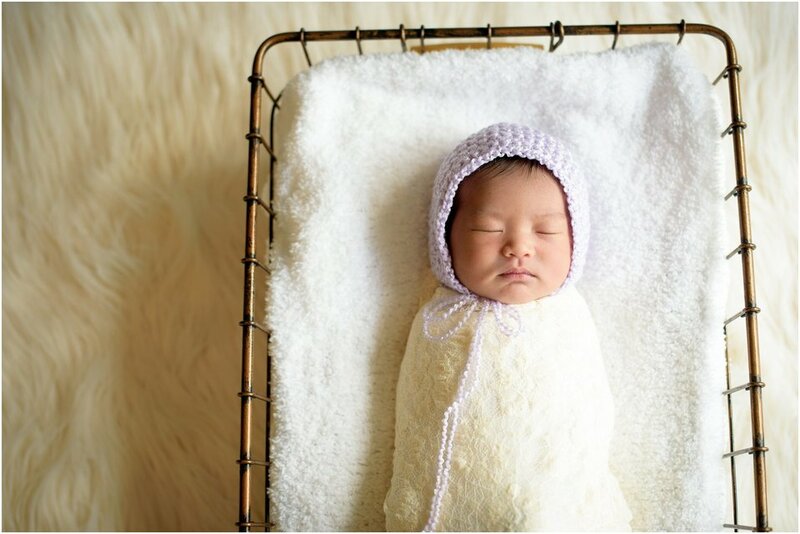 It’s just the perfect environment for dreamy newborn photos. Sweet little Emma has the tiniest of little features. Precious little fingers, sweet little lips, and teeny little feet. Little Emma curled right up on her mommy’s shoulder. This little one is definitely going to be a snuggle bug. Congratulations Chia and Jin! I’m so very happy for the two of you. 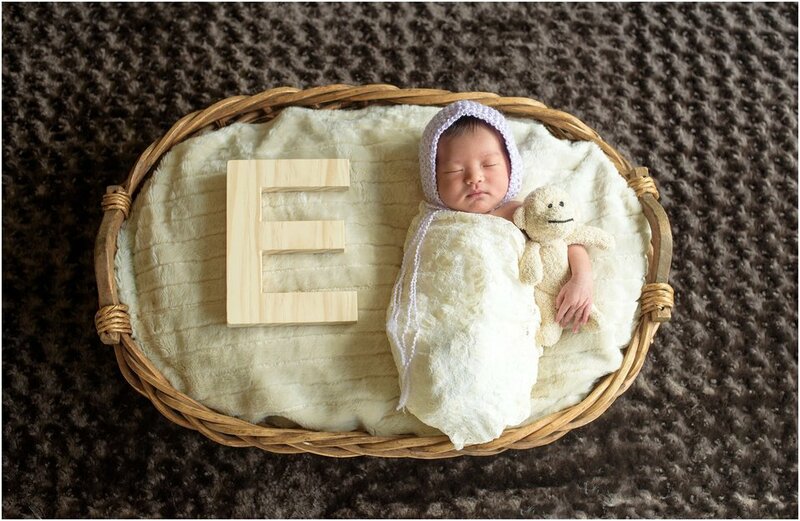 Danie offers newborn and maternity photography in Los Angeles and the South Bay area. To learn more about her sessions, click here.